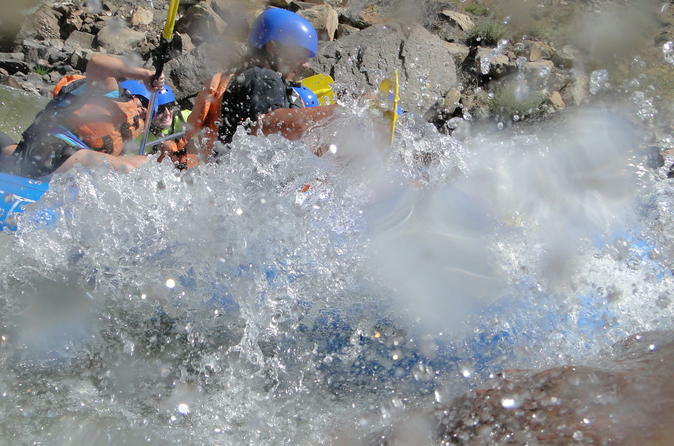 Bighorn Sheep Canyon rafting has become one of our most popular Arkansas River rafting trips, and for good reason. 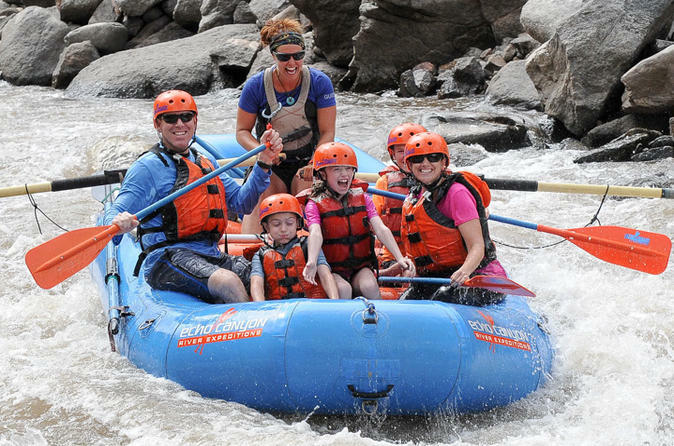 Inhabited by numerous Bighorn Sheep this Colorado rafting adventure on the Arkansas River combines wildlife and amazing Colorado whitewater rapids in one family friendly activity! This 3.5-hour jeep tour literally puts you on the edge of one of Colorado’s most picturesque attractions! 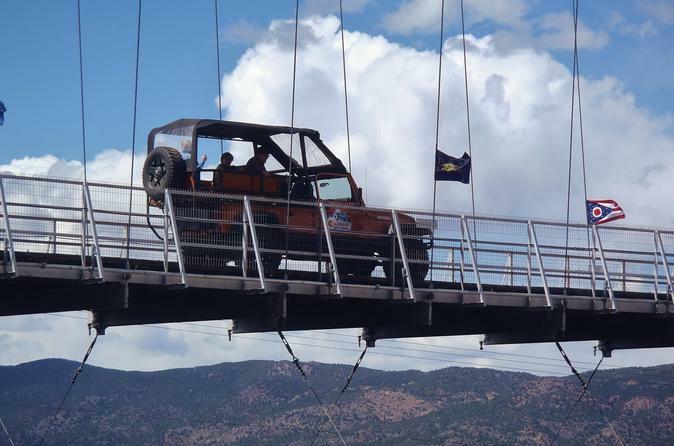 A fun and interesting way to see and learn about Colorado, your guide will take you across the country's highest suspension bridge, to the heights of Fremont Peak and more. 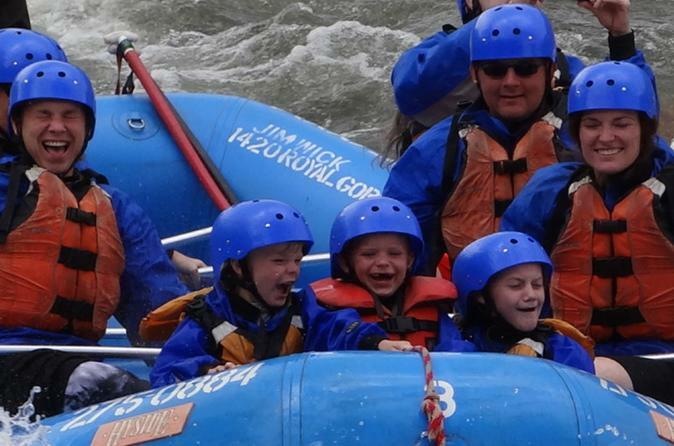 Experience world class whitewater at Colorado's Royal Gorge! 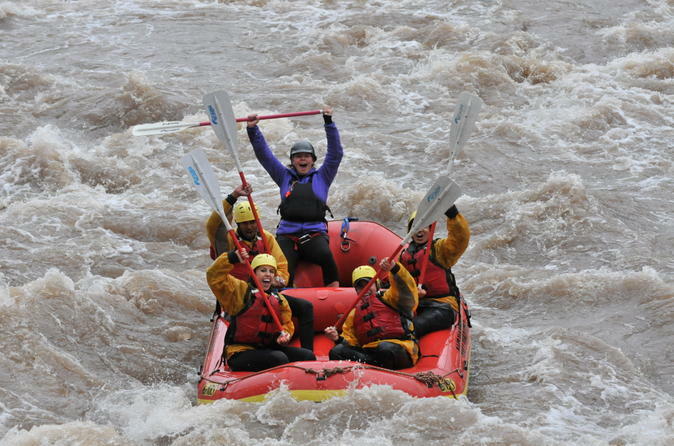 Incredible scenery and epic whitewater blend to make this one of North America's premier rafting destinations. This 3-hour excursion is led by a local guide, and is a perfect way to spend a half day. Your adventure awaits! Colorado’s Bighorn Sheep Canyon, also known as Bighorn Canyon or Parkdale, is home to numerous herds of Rocky Mountain Bighorn Sheep, and is the perfect introduction to Colorado whitewater rafting. This full-day trip includes rapids such as Texas Creek, Maytag, Lose Your Lunch and Three Rocks, to name just a few. 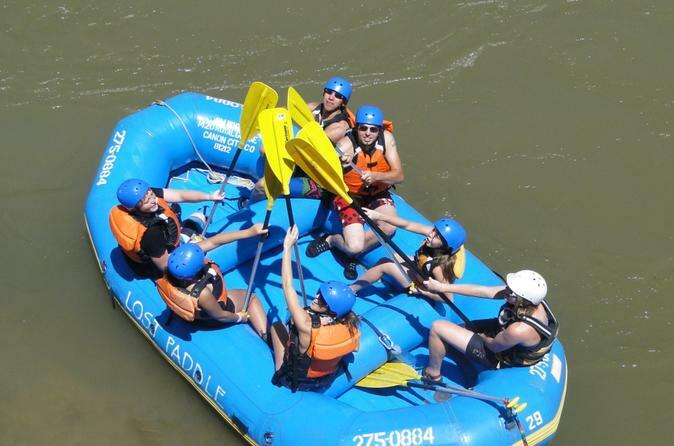 This exciting Colorado whitewater rafting adventure also includes a picnic-style buffet lunch by the river. 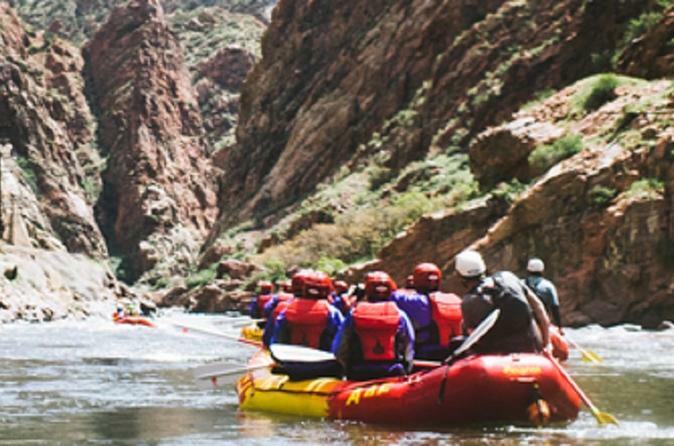 This adventure-packed trip through the 1100-foot cliffs of the Royal Gorge is the ultimate rafting challenge. Famous for its steep drops, huge waves and continuous Class III to Class V whitewater, you'll have the experience of a lifetime on this 4-hour adventure. 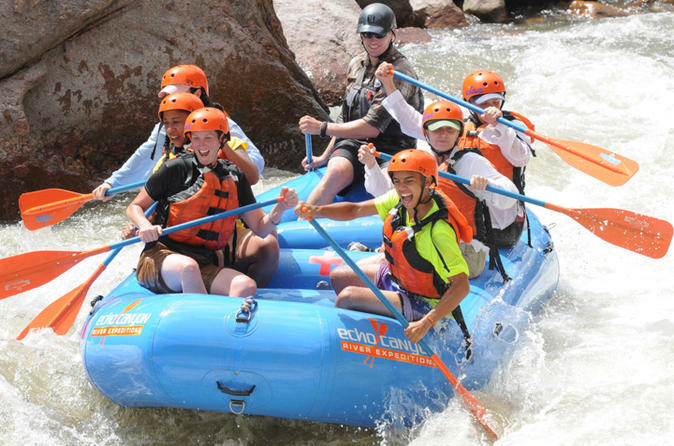 The spectacular scenery and rapids of the Royal Gorge will thrill even the most expert whitewater veteran. Suggested age varies with water levels. 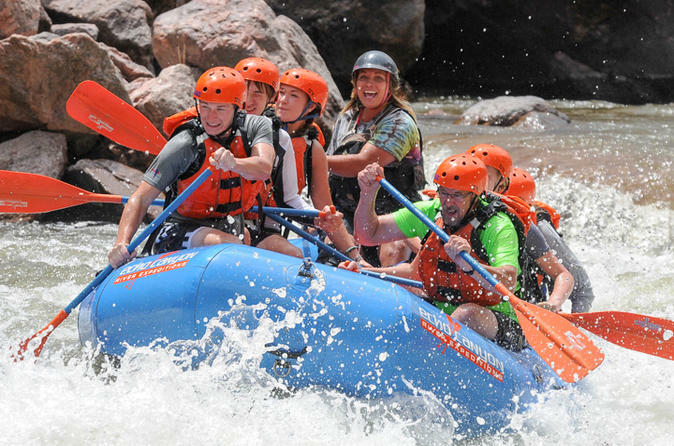 This adventure-packed trip through the 1100-foot cliffs of the Royal Gorge is the ultimate rafting challenge. Famous for its steep drops, huge waves and continuous Class III to Class V whitewater, you'll have the experience of a lifetime on this full-day adventure. 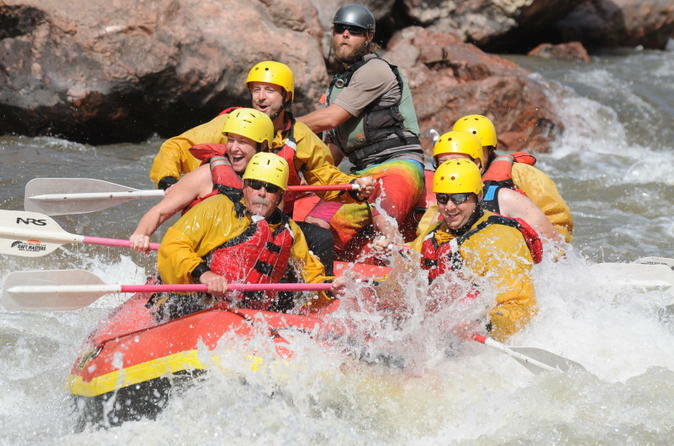 The spectacular scenery and rapids of the Royal Gorge will thrill even the most expert whitewater veteran. Suggested age varies with water levels. Spend a full day on the river! 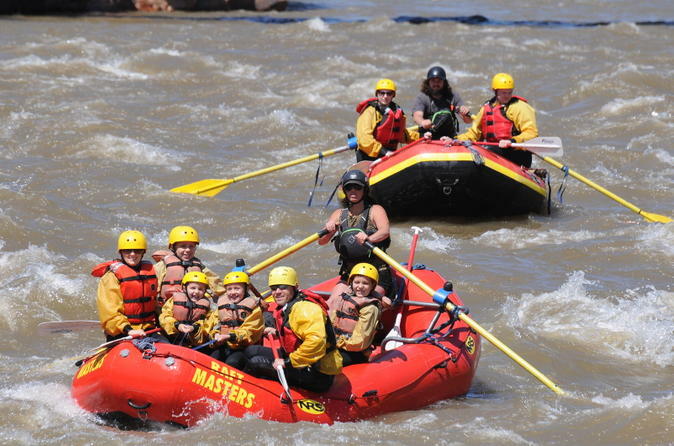 This 6-hour trip is ideal for first-time rafters and families with kids. Beautiful vistas set in a diverse desert ecology await you in Colorado's Bighorn Sheep Canyon, with rapids such as Maytag, Five Points, Spike Buck and Double Dip. Prepare to have fun and get soaked! 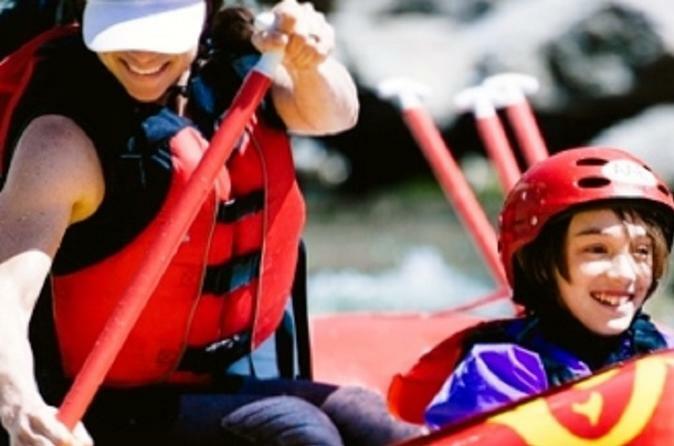 This 3-hour trip is ideal for first-time rafters or families with kids. Beautiful vistas set in a diverse desert ecology await, with amazing class III rapids such as Five Points, Spike Buck and Double Dip waiting to soak you!